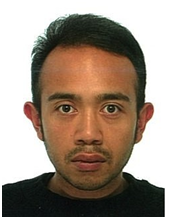 Mochamad Adhiraga Pratama was born in Jakarta,Indonesia on 28 November 1986. He obtained bachelor degree on environmental engineering (B.Eng) from Bandung Institute of Technology (ITB), Bandung, Indonesia in 2009. In 2011, master degree on environmental engineering with specialization on environmental health and safety (M.Eng) was obtained from the same university. In 2015, He graduated from doctoral course in department of Environmental Engineering of Kyoto University and was conferred Doctor of Philosophy in engineering (Dr. Eng.). He was the staff of Directorate of Infrastructure Development of ITB, Bandung, Indonesia from 2010-2012. From February to March, 2013, he was an intern in International Agency of Atomic Energy (IAEA), Vienna, Austria. 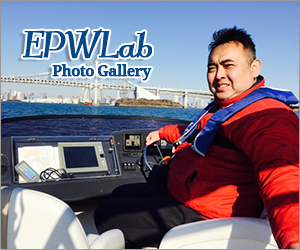 Currently, he is a postdoctoral researcher in Environmental Risk Analysis Laboratory, Kyoto University, Kyoto, Japan. He is interested on analyzing environmental and health risk of pollutant such as organochlorine pesticide, heavy metal and radioactive substance. Currently he is working on simulation and modeling of radionuclide pollution in catchment area of Abukuma River, Japan.